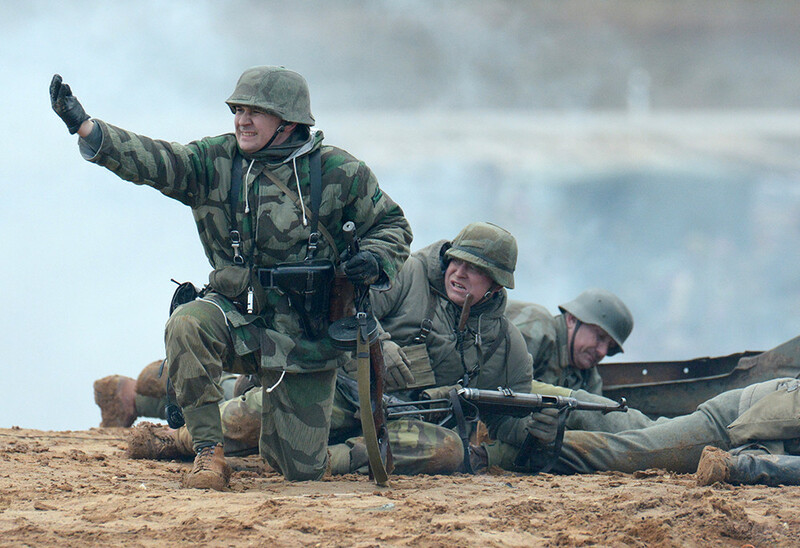 A dramatic and realistic reconstruction of the final days of World War II takes place at Kubinka’s Patriot Park, on the outskirts of Moscow, on Sunday, April 23. The Patriot Park hosts a replica of the German Reichstag, a forest guerrilla base, arms exhibits, and a replica of World War II-era Soviet army positions. The military show is presented by professional stuntmen. More than 1,500 participants and dozens of military vehicles took part on this historical reconstruction of the Russian Red Army's storming of the Reichstag during the 1945 Battle of Berlin.